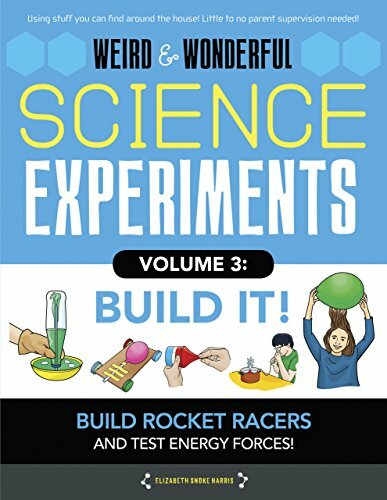 Weird & Wonderful Science Experiments, Volume 3: Build It: Build Rockets and Racers and Test Energy and Forces! Volume 3 of the ultimate lab series for kids! Each of the experiments features safety precautions, materials needed, step-by-step instructions with illustrations, fun facts, and ways to further children's explorations. At once engaging, encouraging, and inspiring, this book is every budding scientist's go-to guide for learning the fundamentals of science and exploring the fascinating world of building with science! If you have any questions about this product by Moondance Pr, contact us by completing and submitting the form below. If you are looking for a specif part number, please include it with your message.